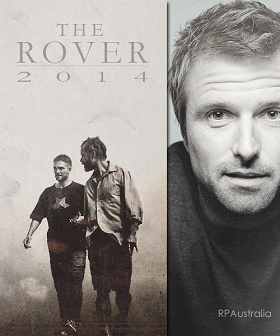 Dominic Corry of the New Zealand Herald talks with David Michôd and Guy Pearce about their new film, ‘The Rover’. Seeing as it takes place in a broken-down civilisation where desperate, lawless men drive beaten-up cars through desolate Outback locations, you could be forgiven for initially linking The Rover with a certain well-known trilogy of post-apocalyptic Aussie films. But writer/director David Michôd’s eagerly anticipated follow-up to his 2010 smash, Animal Kingdom, paints a much more chillingly plausible picture. 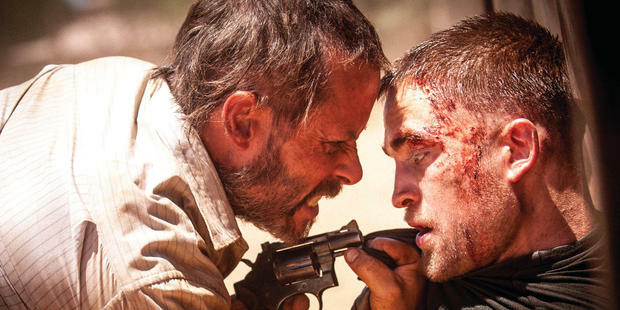 The Rover is set 10 years after a global financial collapse. Pearce plays Eric, a man with unknown motivations who reacts with extreme determination when some Americans crash their car and steal his. In attempting to retrieve his automobile, Eric encounters Rey (Robert Pattinson), injured brother to one of the thieves. Their uneasy partnership forms the core of the often grim film. When Michod and actor Joel Edgerton were conceiving the story together, they never intended to riff on Mad Max. The first thing that makes you realise you’re not watching Mad Max is the fact that Pearce is wearing shorts, a rare sight for a leading man in any film. Think about it. Fair enough. While 2010’s Animal Kingdom wasn’t exactly a huge box office hit, it was red hot within Hollywood. But despite the lucrative offers it generated, Michôd chose to make his follow-up film in Australia. The exposure gained from Animal Kingdom propelled practically the entire cast to successful Hollywood careers (See: Sullivan Stapleton; Jacki Weaver; Ben Mendelsohn) — did this result in actors crawling over themselves to work with Michôd on his follow-up film? He ended up choosing one of his Animal Kingdom actors for the lead role, but not as a default. Pearce’s motivation was all about Michod. Pattinson’s performance in the film is revelatory, and sure to lend credence to his many recent attempts to distance himself from That Vampire Role. What sparked in the actor for Michôd? Tickets can be purchased via the NZIFF website. Posted in Films, Print Interviews, The RoverBookmark the permalink.